This is the second in a series of Disappearing Churches here at "100 Years in America". These articles have been written as part of the special Doors of Faith celebration in honor of the upcoming Year of Faith 2012-2013 proclaimed by Pope Benedict XVI. For more information, visit The Catholic Gene. It was the year 1909 when the family of three consisting of my great-grandparents and their young son (little Ferencz) were reunited at Ellis Island. 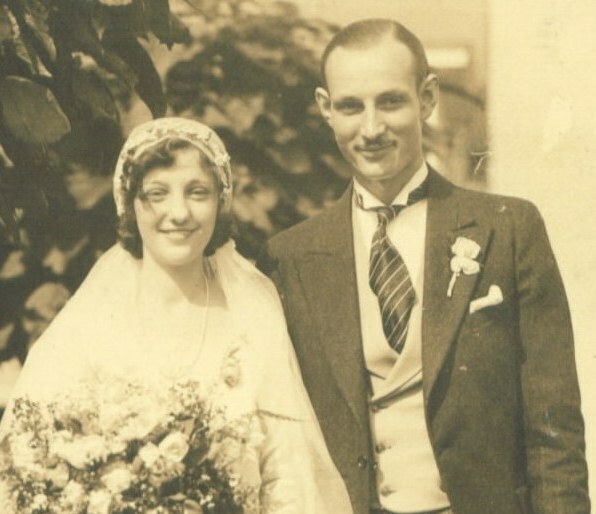 It had been three years since Ilona’s husband Ferencz had left their home in the Croatian-speaking region of Austria-Hungary's Zala County. They had finally joined him in the United States, jumping right into their new life as residents of New York’s Lower East Side. As it still is today, the neighborhood was a magnet for new immigrants, each nationality forming its own community within a particular section of city blocks. 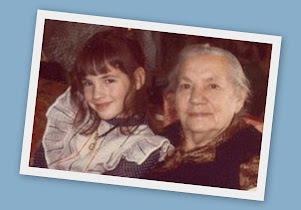 New immigrants like the Ujlaki family surely found comfort for their homesickness within the neighborhood where the languages, traditions and foods of their homeland were a part of everyday life. A central part of life for the Hungarian immigrant families was the Church of St. Stephen of Hungary. It was located at 420 East 14th Street, at the northern boundary of a series of city blocks that were predominantly a Hungarian neighborhood. The church was founded in 1902 by the St. Stephen Roman Catholic Society. It's first church building, formerly used by Episcopal and Presbyterian churches before the area became largely Catholic, was consecrated in 1905 by pastor Rev. Ladislaus Perenyi. Lucky for Ferencz and Ilona Ujlaki, the Hungarian priest who became pastor in 1907 was from Nagykanizsa – a town that is today about an hour's drive from their home villages. Their families had made visits to his town. It must have been nice to have this connection with their pastor Rev. Louis Von Kovacs de Jardanhaza now that they were all in America and so far away from their homeland. The Hungarian pastor had quite a distinguished history before his arrival at Manhattan's Church of St. Stephen of Hungary. According to a 1914 publication entitled The Catholic Church in the United States of America, Undertaken to Celebrate the Golden Jubilee of His Holiness, Pope Pius X. v. 1-3 , Fr. Kovacs de Jardanhaza was "born in Nagykanizsa, Hungary in 1878 from an old noble family and graduated from the University of Hungary in 1899. He was in the Cathedral of Tamesvar, Hungary, with Bishop Dessiwffy for four years, and was then professor in Nagybeeskerek, Hungary. In 1904 he was a candidate for the Hungarian Parliament. He came to the United States in 1905 and until 1907 was rector of the Hungarians of Perth Amboy, N.J. He was decorated with the Cross of the German Knights by Prince Eugene of Hapsburg in 1907.” With a history like that I hope he didn't seem intimidating to his parishioners! By 1914, St. Stephen of Hungary had about 4,000 Hungarian Catholic parishioners, including my great-grandparents. By that year, the Ujlaki family had baptized three daughters at the church, and would continue to be active members for many years, even after the family and the church itself moved - in different directions. As Hungarian immigrant families settled into their new lives in America and began to live more comfortably financially, they left the Lower East Side, and the church followed them. 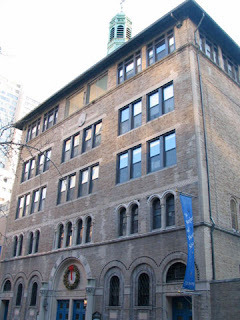 The Church of St. Stephen of Hungary moved uptown to the upper east side of Manhattan in Yorkville. The area from 75th Street to 83rd Street was becoming the center of Hungarian life and was the natural choice for the location of the new church. By 1926, plans were underway for the building of a new Romanesque Revival church at 408 East 82nd Street. Construction began on St. Stephen's day: August 20, 1927. Today, the church remains at that address, and includes a rectory, school and community center. Designed by architect Emil Szendy, it is built of light brick and sandstone with an archway at the center for the entrance to the church. 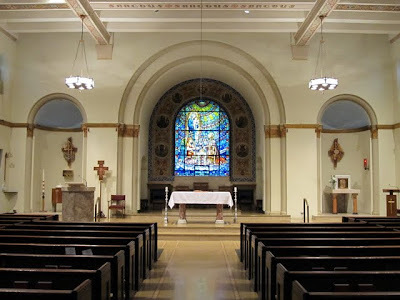 Below are photos of the church today, which still offers a weekly Hungarian language Mass. 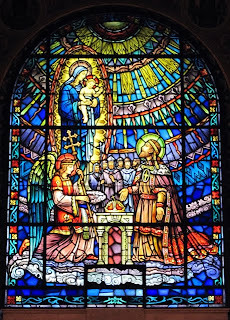 I love the striking stained glass window behind the altar depicting King Szent István (Hungarian for St. Stephen) kneeling at the feet of Mary and the infant Jesus. 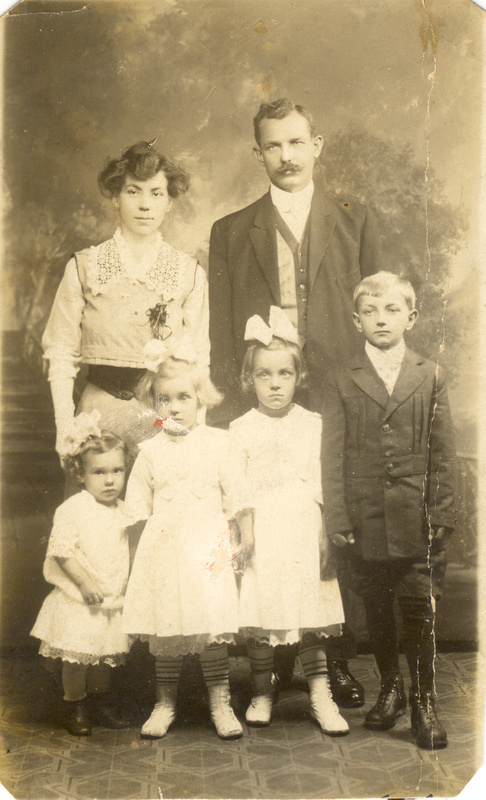 A few short years before the church itself moved, Ferencz and Ilona Ujlaki (now using their Americanized names Frank and Helen Ujlaky) had moved their family not north, but south. Probably in search of more rural surroundings like the villages in which they had been raised, they moved their family to Staten Island in 1921. 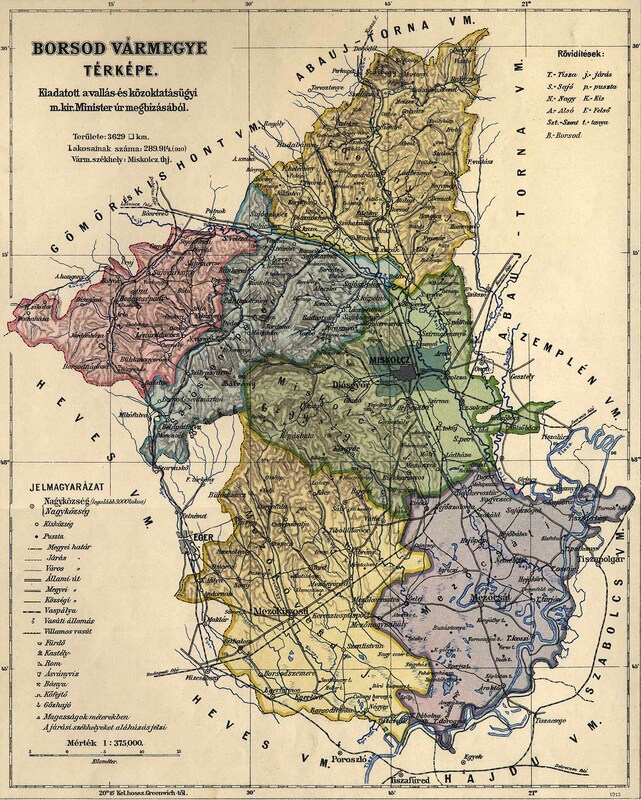 Because it was closer to home, Holy Rosary became their new parish, yet they remained connected to the Church of St. Stephen of Hungary. 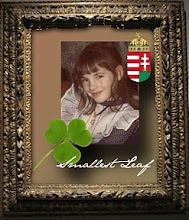 Their teenage children attended youth activities with other young Catholics from Hungarian families at St. Stephen's. One of the Ujlakys' daughters was a teenager when she met and was courted by a Hungarian-born young man from Massachusetts who was attending St. Stephen's while visiting his New York cousins. The Church of St. Stephen of Hungary had introduced the young couple, but Steve and Mitzi were married the following summer at Holy Rosary. He was 25 and she was 18. 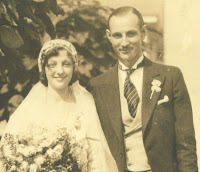 They were my grandparents. 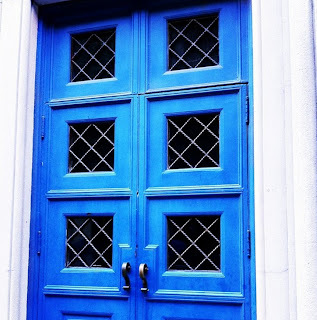 This article is part of the "Doors of Faith" series focusing on our ancestors' Catholic parishes. 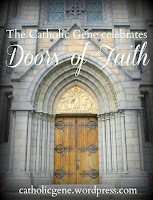 Visit The Catholic Gene to learn how you can share photos and stories of your family's "Doors of Faith" in honor of the upcoming Year of Faith 2012-2013. It's fascinating to consider all the ways church was central to the lives of many of our ancestors. Beautiful reminder, beautiful post, beautiful photographs. What a lovely story - how wonderful that your immigrant ancestors had the familiarity of their homeland in their new country. I'm sure it was a comfort - I have often wondered how hard it was for my own immigrant ancestors to leave everything they knew behind. The photos are beautiful. I love the intricate stained glass window! Thanks for a heartwarming post. Thank,you for ,the wonderful story,and thank ,you for sharing it with us.